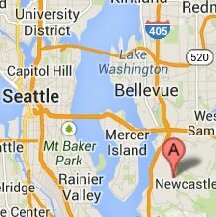 Hoag Electronics is located near Seattle, Washington. Hoag Electronics is an electronics engineering product design consulting company that specializes in the design and development of new electronic products. We provide a ‘one-stop’ turnkey electronics product design service from product conception, electronic specifications, functional prototypes, all the way to a ‘ready to manufacture’ product. We specialize in the use of Microcontrollers, Wireless technology, Analog and Digital Mixed Signal applications. We have extensive experience in hardware circuit design, microcontroller firmware, software design and wireless design. Our primary targets are companies in need of expert and experienced electronic engineers to bring your product to market as quickly as possible. Hoag Electronics can provide you with in-depth expertise, fast turnaround time and unbeatable performance in a new product design. 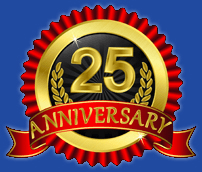 With more than 25 years of expertise in electronic product design solutions, satisfied customers come back — and this is why clients from our previous projects appreciate the benefits of working with the right team. If you need an experienced full service electronic engineering consulting design firm for a new product idea, or you are interested in a new and profitable product to manufacture and market, please contact Hoag Electronics today. We welcome your inquiry, and we can discuss your needs and a solution. There is absolutely no obligation. Please contact us with your new custom electronic product design ideas today! Complete CAD design using Schematic Capture, PCB and Mechanical Design software for all phases of the electronic product design. As your electronic circuit design consultant, your electronic product development services includes all of these documents. The electronic circuit design is engineered using one of the most popular CAD programs, PADS Power PCB. Single layer, double layer and multi-layer PCB layouts, up to eight layers are possible. All sizes and shapes of printed circuit boards have been engineered. Microcontrollers are often the 'heart' of a new product design. Our electronics engineering consultants have over 25 year experience in software and firmware code writing and design using the latest development tools from companies such as Freescale, Microchip and Atmel. Once the PCB is complete, we then locate parts and assemble the prototype products for testing. 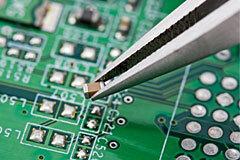 Assembly of surface mount and thru-hole components is common place in our product designs. We can provide production assembly and test services. Electronic Product Design often consists of mixed-signal technology. A circuit may contain analog as well as digital and microcontroller technology. Our electronic engineer product design consultants have expert capabilities in all of these areas. With our extensive experience in RF and wireless design of our electronic engineers, we can optimize your electronic product design to best suit your custom requirements for both cost and performance. This is included in our circuit design service. © 2016 Hoag Electronics, Inc. All Rights Reserved. SEO by Orbit Media Solution.